ROAR!!! 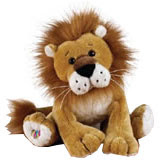 The webkinz caramel lion has just been added to the webkinz team. Brand new. This lion is so brave and so strong. What a real power house. So lovely and purr-fect. Special item: paws and claws armoire. Special food: caramelize eland flan. You can adopt this cat today.